One of the first and most intimidating hurdles an aspiring filmmaker will come across is the monetary barrier of entry associated with getting started in the industry. Cameras can be very expensive, and how are you supposed to prove your meddle as a filmmaker without a camera to shoot on? Well, you might be overlooking an incredibly valuable tool that you already possess: your phone! In this post we’ll be looking into what the primary differences are between smartphone cameras and high-end cameras, and what you can expect when filming a project on your phone. The first thing to consider when shooting video with your phone is just what that phone is capable of. If you own a smartphone released in the last few years, your phone is more than likely capable of shooting video in HD. It’s also likely that the camera contains manual settings for a number of things such as focus, exposure, and potentially even aperture. In most cases, these features are slightly hidden and set to automatically adjust to provide ease of use, but can be accessed and manipulated if you know where to look. Spend some time with the video software on your phone to figure out exactly what the extent of these features are. These controls may not offer all the depth of a DSLR or other high-end camera, but they should provide you enough options to get some great looking footage regardless. Knowing where and how to manually control these features can be pivotal in getting good footage. As an example, if you were filming inside and panned past a window while auto exposure was enabled, the camera would adjust for the new light source, causing unwanted shifts in the exposure of the shot. Each and every smartphone is likely to have at least some minor differences in regards to these capabilities, so be sure to research the settings and options available for your make and model. 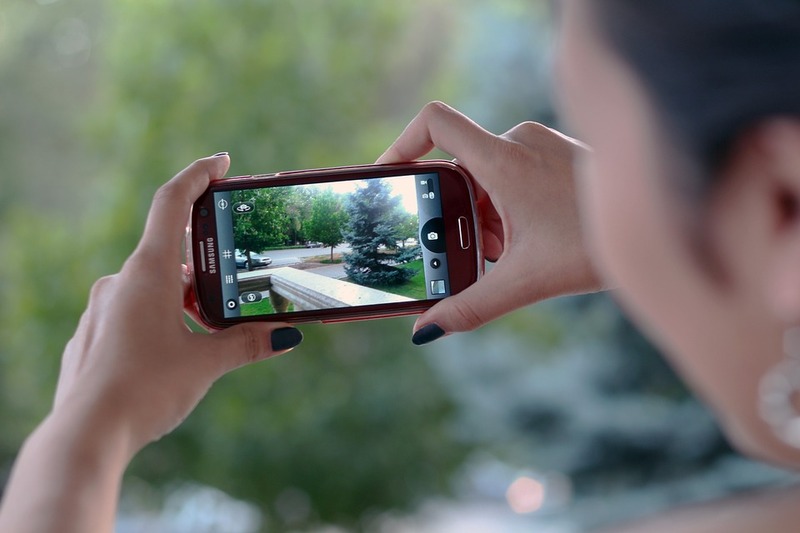 Phone cameras possess a number of slight advantages over traditional cameras due to certain design elements of the phone itself. For starters, a phone camera will almost always be easier to manipulate and position in a physical space due to the size and shape of the phone. Try experimenting with shots that would be hard or impossible to get with a more traditional camera! 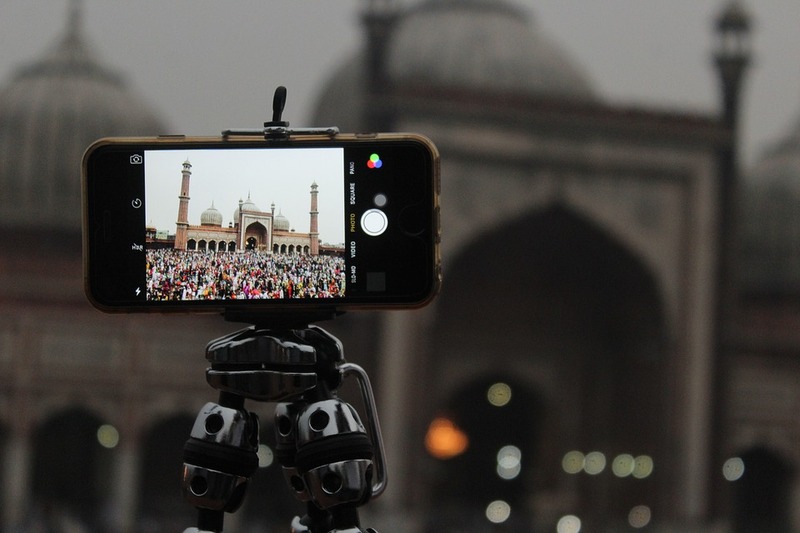 Camera movements can also be performed more easily due to the size of the phone, and you purchase tripods or even gimbals for your phone to take those movements to the next level. Another slight advantage comes in the form of stabilization options. Smartphones these days are often equipped with gyroscopes and accelerometers to help with a number of common functions. 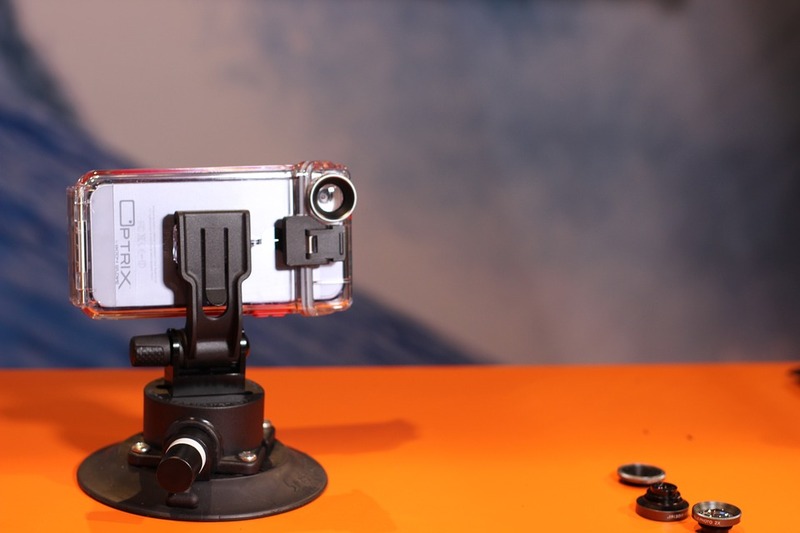 An added benefit of the inclusion of these technologies is that they can be used by a phone to provide a greater degree of stabilization by tracking the movement and positioning of the phone and digitally compensating for any non-major movement in the video. While traditional cameras often include stabilization options, the additional tech available in a smartphone makes their options slightly more robust. So what are some of the big pitfalls when filming with a phone? In regards to video quality there are a couple. The biggest determent is sure to be the sensor size. To put it simply, a larger sensor means a better image. Unfortunately, your smartphone doesn’t have the necessary real estate to pack in a full frame sensor the way a more traditional camera does. This provides a number of disadvantages including a reduced dynamic range, poorer ability to handle low-light shooting, and difficulty focusing on moving targets. This means you may struggle to get a ‘cinematic’ look out of footage shot on a phone, although this technology is being improved upon with every new generation of phone. Another big disadvantage lies in the amount of control over the image a phone grants. While manual adjustments are often available, it’s unlikely that the range of functionality will be as wide as with a more traditional camera. On top of this, while camera lens peripherals can be purchased, the variety and quality of these attachments won’t rival traditional camera lenses. So while your phone may provide more image quality controls than you might expect, they will still ultimately appear lacking when compared to a traditional camera’s options. There’s the concern of audio quality, which is a concern whether you’re filming with a phone or a high-end camera. Either way, the onboard microphone that comes with your camera is unlikely to impress you with the quality of audio that it can record. It will do in a pinch, but if you want high quality audio you’ll need a solution. Thankfully, audio recording equipment is a fair bit less daunting to invest in than camera equipment. External audio recorders and microphones can be acquired if you really need to make sure you’re getting better quality audio. Finally, you may run into storage and battery issues when filming on a phone. Video files can be rather large and running a camera can be draining to a phone’s battery. With more traditional cameras, you can swap in SD cards and batteries as needed to combat this issue. Unfortunately, that’s not an option when filming on a phone. Your best step is simply to be aware of the storage and battery life limitations of your device. If necessary, external battery packs and storage solutions can be acquired. In recap, while the video functionality of your phone will not be as robust as what you can get out of a more traditional camera, you may be surprised at the quality of video it is capable of producing. Furthermore, you likely already have one available to you without having to spend a dime! With the proper research and understanding of your phone’s video capabilities you can make amazing video work right out of your pocket. As a matter of fact, film festivals are popping up all around the world that highlight films shot exclusively on phones. Don’t be dissuaded by the fact that you don’t the biggest, most expensive camera available to you. Use the tools available to you to hone in your skill set and expand your demo reel. The important bit isn’t the camera you use, but the video you make, so get out and get shooting!